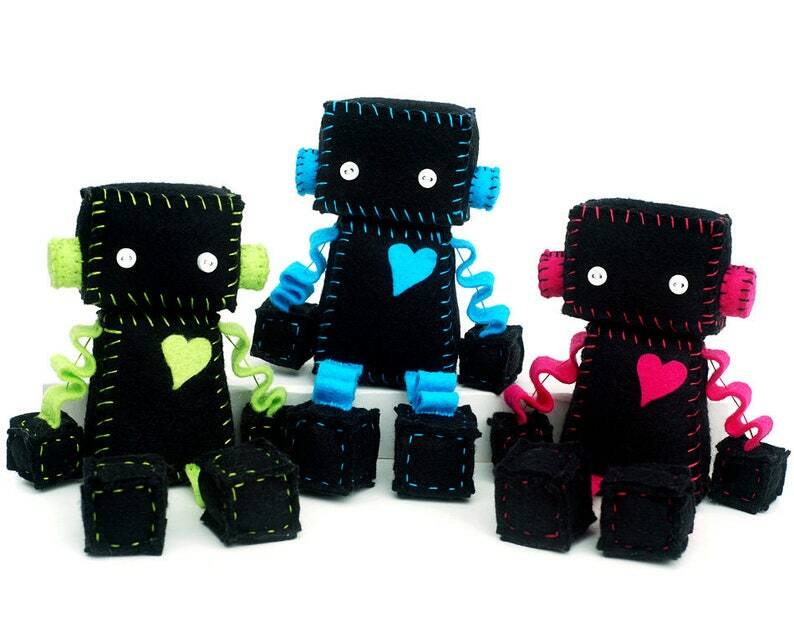 Neon Ninja Robot is black with either lime green, turquoise blue or hot pink accents. Robot plush is about 4 inches tall sitting. It is made of premium wool felt, cotton embroidery floss, and little plastic buttons for eyes.